Stuart is CEO of TransparentChoice and is a veteran of the software space. His back ground includes stints working on reporting and data analytics and he is passionate about improving business outcomes for his customers. Stuart lives in the UK and enjoys hiking, mountain biking and playing with his kids. He also enjoys playing guitar... but his family would rather he didn't. Projects Fail - Blame the PM? Over 50% of projects fail. 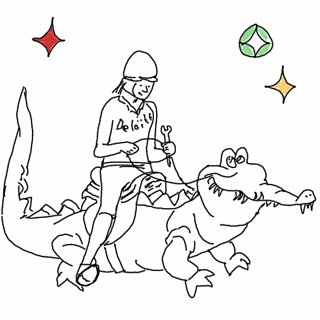 Of course, if we had good project managers, we’d never have failed projects, right? We now know that PMs should not carry all the blame for failed projects. Research suggests that many projects are doomed to failure long before project managers even get involved. Around 40% of the “cause” of failed projects occurs before projects are even initiated. 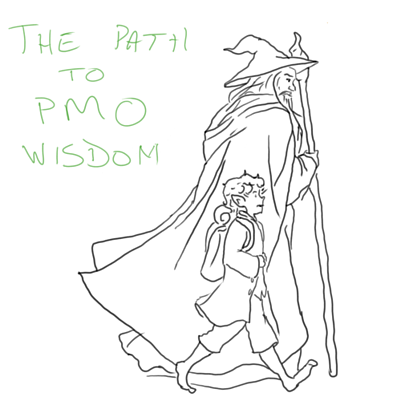 Since a PM cannot normally travel back in time and get involved in a project in which they are not yet involved (there’s a sentence for Terry Pratchett fans! ), I’d suggest someone else should be driving that particular pre-execution bus. And that someone should be the PMO (or EPMO). Okay, everybody talks about the importance of the strategic alignment of your project portfolio. Your portfolio exists to support your business strategy but in this blog, I want to look at things the other way around. 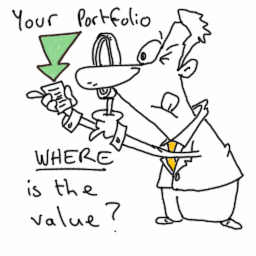 Let’s assume we’ve already aligned our portfolio to strategy - what benefits would we see? In this blog I often talk about the project prioritization process and the best method of implementing it. In this article I would like to share some ideas on how to use the prioritization matrix to prioritize projects in a way that gives you a chance to succeed. Okay, so you may have read our ultimate guide to project prioritization and now you want to know how to prioritize projects. You’re in the right place. We’ll break it down into 4 easy steps. Let’s get one thing clear before we start. Your projects are not “your” projects, they are there to deliver strategic value to the business. It is, therefore, vital to make sure that “the business” - for the purpose of this blog, that means a diverse group of senior stakeholders - what “value” means before you start. This process begins with a brainstorming session with your executives. The goal of this brainstorming is to end up with a list of 4 to 7 top-level strategic goals - the business goals that are most important to your stakeholders. We will then use those goals as criteria to evaluate and score your projects - this is what allows you to deliver strategic alignment. 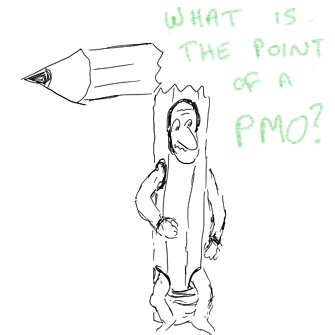 What's the point of a PMO? So, you've probably heard the one about the broken pencil? 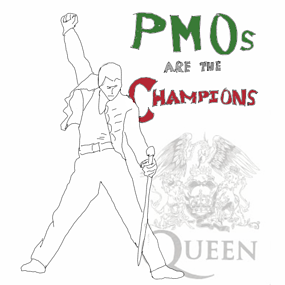 Maybe that's really a joke about PMOs. You've seen the stats, right? I've written before on ways to turn this around, but there's one underlying challenge: many PMO leaders themselves don't understand the point of the PMO. 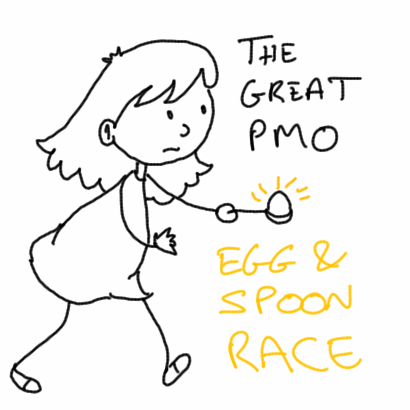 If the PMO leader doesn't know what the PMO is for, how can the senior executives value it? There is a revolution under way: the 4th Industrial Revolution. And the PMO is, in some ways, the most crucial player in making this revolution happen. 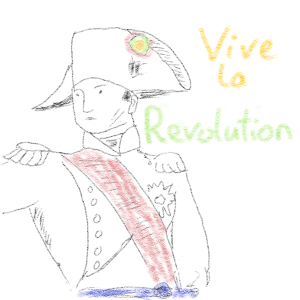 The PMO is like Napoleon. Or the guillotine. The revolution just wouldn't have played out without them. Change is nothing new and it's a cliché to say that change is accelerating, but it really is. It's not just accelerating, but it's accelerating on a whole lot of different fronts all at once. Technologies like artificial intelligence, internet of things, robotics, big data and - well, just throw in your favourite collection of buzz-words - these technologies are driving change at a faster pace than ever before. And this accelerated change has a name; the 4th Industrial Revolution. And the PMO is a key player in this revolution, but are you ready? PMOs Should Stop Prioritizing Demand! Well, I just got off the phone with a consultant friend of mine, Roberto Camanho. He is grey-haired and wise. He is the Gandalf to my Mr Baggins. And he took the rather controversial position that PMOs should NOT be in the business of prioritizing demand. And today, we’re going to figure out where you sit. Are you a Champion or an Underperformer? Or, most likely, somewhere in between? 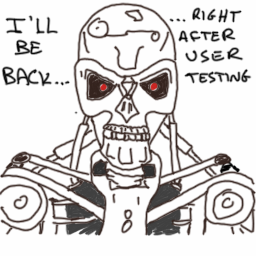 Tracking through to benefits doesn't have to be hard, but it does take focus and the discipline to never give up, a bit like The Terminator - the good one in T2, of course; we don't want any nasty robo-PMOs running around gunning down project sponsors... even if you do sometimes feel like it! Very few organizations track projects all the way through to benefit and David gave a simple framework to help you get there, but he missed one of the most important steps out; prioritization. So, let me share with you my interpretation of the talk, but I'll add what I think is missing. Well, for most PMOs there is no good answer. Well, now there is a way you can quantify and justify the portfolio selection and it’s validated through academic research. 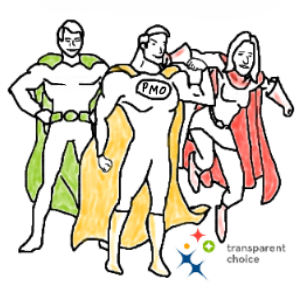 Every PMO has the potential to be a superhero. Seriously. Anyone who can deliver a sustained competitive advantage is a superhero (in company terms, anyway). It may be the “golden touch” on product (Steve Jobs) or the ability to spot a value-investment opportunity (Warren Buffet). The superpower that every PMO has is the power to deliver a far more efficient and effective use of capital. Hmmm – doesn’t sound as cool as X-ray vision or the power to create force-fields… but you know those aren’t real, right? Apart from my Mum, who definitely had X-ray vision while I was growing up. A more efficient and effective use of capital, however, is about as important for a company (or government agency, NGO, etc.) as it gets. So, put your underpants on the outside and prepare to change the world! When your car breaks, most of us call the mechanic. Well, I recently spoke with Amanda Oakenfull of Deloitte in Australia. She’s known in Australian project management circles as The Mechanic and with good reason. She has an enviable track record in turning around projects, programs and portfolios. Amanda has a reputation for being able to fix almost anything and I wanted to know what her secret is. Of course, sometimes people say, “I don’t have enough resources!” but that’s the same thing, really. And the reason they complain isn’t because of the workload, but because everyone knows that if you over-fill the portfolio you get fewer “successful” projects. But here’s what’s bugging me. If everyone knows this is a problem, and it’s probably the single biggest contributor to project failure, why is it such a problem? And can we fix it? John McGrath, speaking at the Pharma PPM Toolbox in London, said that there is simply no excuse for not having enough resources on a project. Now I know many of you will be disturbed by this statement, but I think he's more-or-less correct. It's like when a bridge collapses. 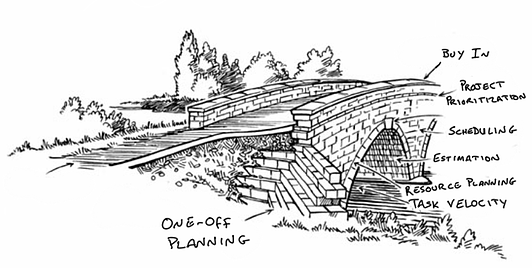 Bridges don't just collapse, you see (not that I'm a bridge expert, but work with me here.) There is always a reason for the collapse; you designed it wrong, you used the wrong material, you allowed too many trucks on at once, etc. It’s the same way with projects. There's always a reason when you run out of resources and it's almost always avoidable. Let's look at some of those reasons and work out what can be done about them.